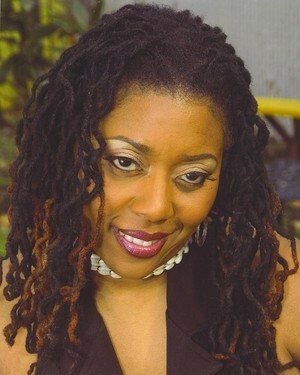 Author and Public Speaker, Tempie Satcher-Ducosin is the Founder of DC’s Annual Love, Locs and Natural Hair Expo, and Nappy-Oke Event. Both events feature workshops by natural hair specialists and health and fitness experts, fashion and hair shows, vendors, food, music, and much more. Tempie Satcher-Ducosin, is a native Washingtonian and natural hair educator who has dedicated her life to inspiring others about the benefits of natural living. Tempie’s Asaze Natural Hair Salon, is located in Northeast Washington, DC. She has also given lectures on natural hair and nutrition throughout the community, her latest venue being Prince George’s Community College. Tempie started styling hair at a young age. After she had been working for the government for 13 years, she lost her job. During this time she noticed people wearing locs and braids and decided to fine-tune her childhood skills by attending Madam Walker’s Braidery and School located in Temple Hills, Maryland. “I told myself it was time to either sink or swim, so I dug into my creative skills,” Tempie says. Along with caring for natural hair, Tempie was also health, and body conscious and became a certified aerobics instructor. In February of 2002, she opened Asaze Natural Hair Salon. Asaze, which means, God Is Power, serves people of all ethnicities. Along with working at the salon, Tempie serves as an activist and motivator in the hair and health industry. In her spare time she works diligently in the community as an aerobics instructor for youth and elderly. Tempie inspires to reach the entire nation to educate them on the beauty and benefits of natural hair and health. DC’s Annual Love, Locs and Natural Hair Expo, which is conducted each year on the third Saturday in April was established because Tempie, who would frequent hair expos in other states, decided that DC needed its own expo. Her expos focus on educating people on how to be natural from “head through toe”. Each year she basis the expo around a different theme. Tempie is also the creative force behind Nappy-Oke. Similar to the Love, Locs event, Nappy-Oke is where natural hair meets karaoke. She decided to hold the Nappy-Oke event as a way of getting naturals, and the community as a whole together in between the annual Love, Locs and Natural Hair Expo events. Tempie wrote and self-published her first book “Don’t Get Discouraged… Be Encouraged” as a continuing effort to encourage and uplift others. For more information on the DC 7th Annual Love, Locs and Natural Hair Expo email: asaze2000@hotmail.com or call 202-255-8703, and visit the DC Love, Locs, Expo website http://dclovelocsexpo.com. Hope you are well. I was interested in being a vendor at your event. Do you have any openings? Hello denise,I hope it’s not too late if you are still interested in being a vendor for October 27th spaces are still available,please print vendors application off of http://www.dclovelocsexpo.com and if you like you can pay PayPal . Hello denise hope you are still interested in being a vendor,if so please RSVP as soon as possible spaces are limited! Hello Gina,it would be great to ave you do massages at nappy oke! Hello Gina ,we are currently working on the 8th annual expo if you would like to set up your business contact us or copy the Vendor’s application off of dclovelocsexpo.com page. Thank you and hope to see you soon!